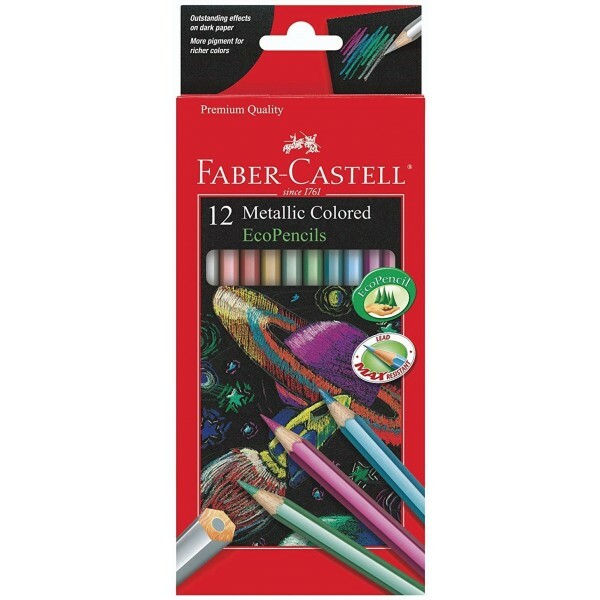 Faber Castell Metallic Colored Pencils brings a whole new dimension to art projects. Kids will love these metallic pencils that come in breath-taking hues and shades. Starting with the regular copper, silver and gold, this unique collection includes Solar Flare Red, Moonbeam Blue, Martian Green, Stardust Teal and Purple Cosmos, all of which are perfect for dark-colored textured paper. 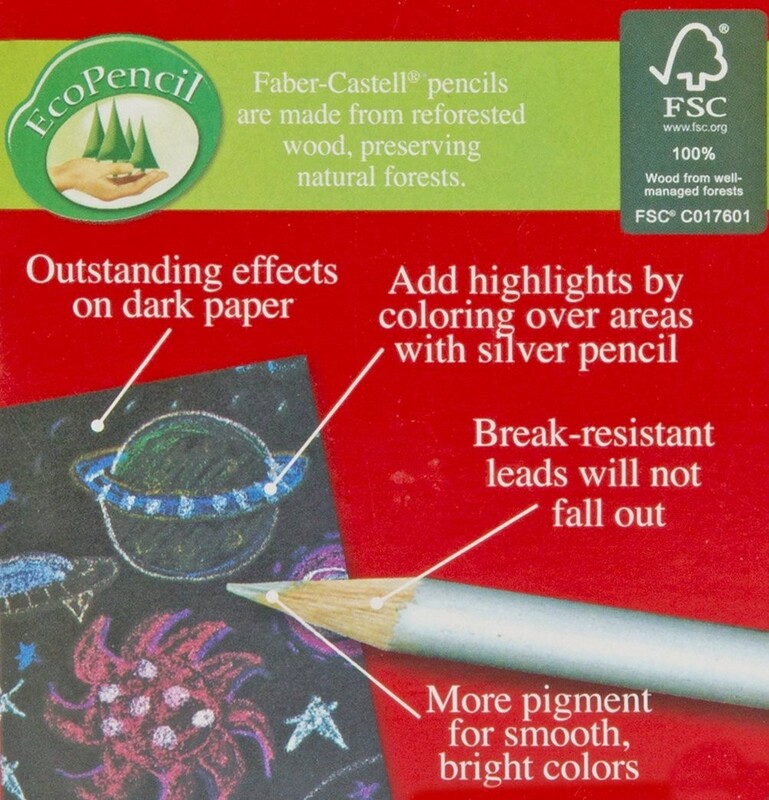 Faber Castell pencils are made of wood from renewable and sustainable sources. They also use a special blend of pigments to minimize environmental impact while still producing the vivid colors that kids love.